Facebook application creator ShortStack will always be intertwined with the social network, but the company is branching out with its launch of Campaign Builder, which brings its users’ campaigns to all destinations, Web and mobile. Campaign Builder users can create contests, sweepstakes, data-collection forms, and other marketing tools with the platform-agnostic tool, and each campaign has its own URL, meaning they can be stand-alone sites or included on Facebook and other social sites. Monthly subscription rates for Campaign Builder range from $29 to $499. In the past year, we’ve seen a shift in our user base. Social media has really grown up, and Facebook is no longer the only game in town. Our customers told us that they wanted the ability to use ShortStack everywhere, not just Facebook, so we listened. Businesses have realized that the meaning of a Facebook like has depreciated, and that leads are the most valuable thing businesses can collect from their online audience. So far our users are excited about the option to publish campaigns beyond Facebook. 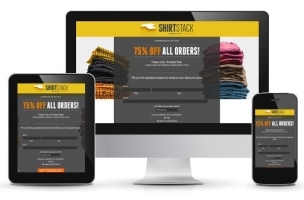 Businesses have been using landing pages for years. However, they’ve needed developers and coders to place their designs online. With ShortStack’s Campaign Builder, we’re removing the necessity of a Web or developer guy. Once a campaign is built, it can easily be published online and promoted through other channels. All of the power of ShortStack is still there, but now there are even more features and tools for businesses to use in their online marketing. Readers: Will other advertising and marketing companies that rely primarily on Facebook follow suit and begin expanding their offerings?